Manchester Orchestra is an American indie rock band which formed in Atlanta, Georgia in 2004. The group is currently composed of rhythm guitarist, singer/songwriter Andy Hull, lead guitarist Robert McDowell, keyboardist and percussionist Chris Freeman, bassist Jonathan Corley and drummer Tim Very. Former drummer Jeremiah Edmond parted ways with the band in January 2010 to focus on his family as well as running the band's record label, Favorite Gentlemen. The band has released three albums - 2006's I'm Like A Virgin Losing A Child, 2009's Mean Everything To Nothing and 2011's Simple Math. 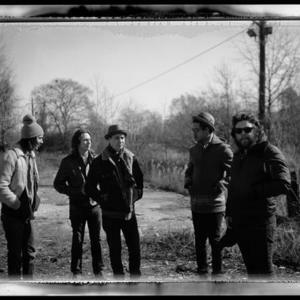 In early September 2008, the band announced on their Myspace blog that they had begun recording their second album entitled Mean Everything To Nothing with producer Joe Chicarrelli (The Shins, My Morning Jacket). On February 4, 2009, the band posted a link to a free download of the single I've Got Friends and performed an acoustic version at The Fly's In The Courtyard Sessions. The album was released April 21, 2009.